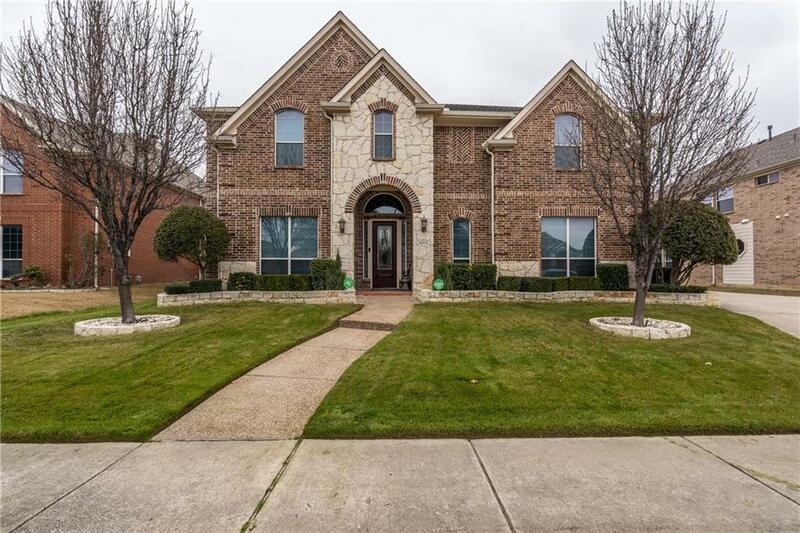 Stunning home with upgrade & luxury features. Stone front elevation. Formal living & dining. Family room with gas-log fireplace and high ceilings. Chefs kitchen with 42 inch cabinets, granite counter-tops & Stainless Steel Appliances. Huge master bedroom down with sitting area and His & Her walk-in closet. Game room and 4 bedrooms up. All the bedrooms has walk in closet. No carpeting in this home. All engineer hardwood floor and designer ceramic tile in the bathrooms. Pool sized back yard with covered patio.